Just started a small business or looking to kickstart your promotional efforts online? Web marketing is one of the most efficient (and often free!) tools at your disposal. The fact is, so many people use the web nowadays to look for information and services in their local area. If you’ve ever searched for restaurant or hotel reviews online or pulled out your phone to check where a business is located on Google Maps, you know what I mean—the web is where you go to find information about everything, including small businesses. But maybe you’re feeling a little overwhelmed with the whole “internet” thing or you’re confused trying to figure out social media. Here at Keen to Design, we get it. So we’ve pulled together this list of strategies to help you get your head around how to get started with web marketing. One of the smartest things you can do for your small business is taking the time to create a web marketing plan. It doesn’t need to be complicated, it just needs to clearly outline how you want to reach your ideal customers. To help you get started, here are seven steps you can include in your web marketing plan to get the attention of new customers. 6. Develop a customer referral program. 7. Partner with other small businesses. Let’s take a look at each web marketing idea in more detail. According to Telstra, small businesses across the country could be missing out on a major opportunity to reach new customers. The telco’s recent 2018 Small Business Intelligence Report revealed only 50% of small businesses have their own website. The same research suggested that 62% of customers stop considering a small business if they can’t find information about it online, while 48% wouldn’t make a purchase from a business that doesn’t have a website. In this day and age, where do people look for business information? Hint: it’s no longer the Yellow Pages. The fact is, if you don’t have a website, you’re making it harder for people to find you. Looking to get online? Get in touch to learn how Keen to Design can set you up with a website like this one. So what’s stopping small businesses from getting a website? According to a research report commissioned by web hosting company GoDaddy, 35% of business owners think they’re too small or have a site. Other reasons were that they lacked technical expertise (21%) or couldn’t accord a website (20%). No business is too small to have a website, and you certainly don’t need technical skills to get a website in 2018. Thanks to solutions like Keen to Design, you can get up and running quickly with an affordable website. 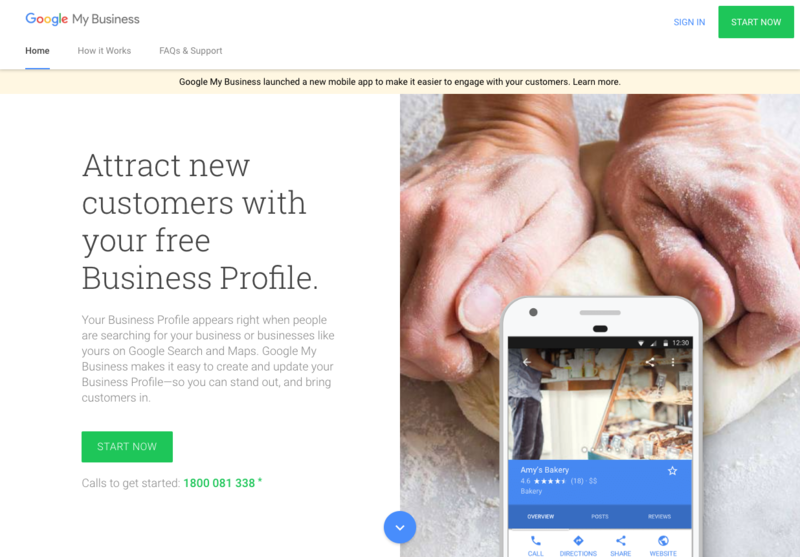 Once your site is up and running, the next step is to claim your account on Google My Business. Did you know that you can manage the information Google displays about your business when people search for you using Google search or Google Maps? That’s right, you can edit that information. In fact, you can add all kinds of information, including your physical address, phone number, opening hours and description, as well as respond directly to customer reviews. 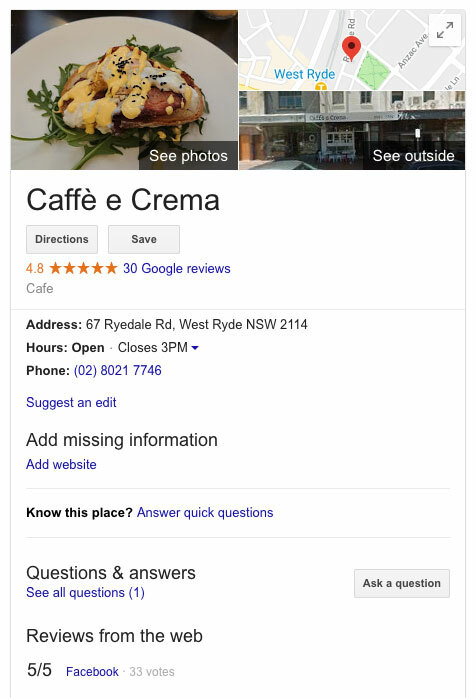 For example, the Google listing for Caffè e Crema in West Ryde includes the cafe’s address, opening hours, phone number, photos and reviews. There are a few missed opportunities here—the business could add a website, menu link, and details for ordering online. With Google My Business, you can even discover how customers interact with your business listing, such as which photos are getting the most attention so you can post more photos that are similar. Also—and this is really cool—thanks to Google Maps’ driving directions requests, you can learn where people are traveling from to find you. Social media is a great, free tool for promoting your business and helping to drive new visitors—and potential customers—to your website. In fact, with 15 million Australians active on both Facebook and YouTube, social media is the place to be. If you haven’t signed up your business for any social media platforms, choose one or two that your customers use the most (tip: if you’re not sure, ask them!). Then, start sharing content that’s in line with our business, and is relevant or interesting to your audience. This might include photos of new products, changes to your opening times, and details of new sales. Share special holiday-themes offers and discounts. Run giveaways and content to generate buzz and get attention. Share reviews and videos from happy customers. You can quickly share photos using your smartphone and schedule content using tools like Hootsuite or Buffer. The important thing is to be consistent. Put together a schedule (i.e. you might want to post once-a-week or everyday) and organise your content ahead of time. Get into a routine and stick to it. There’s nothing worse than a Facebook account that was last updated eight months ago—it tells visitors that you’ve abandoned social media, and maybe your business has closed! Collecting email addresses and sending emails regularly to customers is a sure-fire way to draw people back to your business for repeat sales. Offering new email subscribers a discount for joining your email list is a common practice, and a good incentive for visitors to tell their friends about your business. Despite the rise of social media, email marketing is still one of the most effective ways to connect directly with customers. In fact, 80% of retail pros say email marketing is their most effective customer retention tool. Email newsletters are a powerful marketing tool for small business. They’re cheap to create and send with tools like MailPoet, and they bring back paying customers to your website. In fact, email newsletters are one of the best-performing tools for return on investment. Australia and New Zealand have the most engaged email recipients in the world. Adding an email subscription form to your site is easy—get in touch with Keen to Design to find out more. Otherwise, here’s a handy tip: Put a box on your shop’s counter and ask customers to drop their business cards in for a chance to win a prize (for example, a discount or free product). At the end of the month, you’ll have a winner—and also a stack of business cards with your customers’ contact information. Get in touch with them via email and ask them to join your email list so they can be notified about future giveaway and special offers. Video is incredibly popular right now. Thanks to smartphones, it’s easy to watch videos on-the-go. According to Facebook, people watch 100 million hours of video on the platform everyday. What’s even more mind-boggling is that a Facebook executive has predicted that the platform will be all video in less than five years. While Facebook is incredibly popular for younger audiences, it also connects with older people. Why? Because it’s visual. The great thing about video for small business is that it’s quick and easy to consume. Video is also perfect for visual learners, plus it’s hugely shareable (something else for you to share on social media!). Fortunately, creating your own videos is relatively easy—all you need is a smartphone and the motivation to get started. Creating quick 1 minute videos about your products or services and sharing them on social media—or even on your own YouTube channel—is the modern-day equivalent of television advertising. It not only enables you to promote your business offerings but can boost your credibility and business standing. 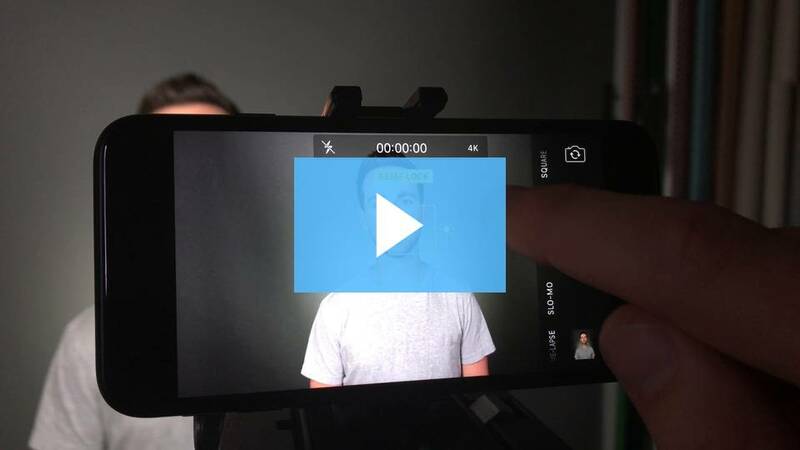 Wistia offers a great video tutorial showing you how to shoot expert-looking footage on your iPhone. Word of mouth is the best form of advertising, and you no doubt already get a lot of customers this way. This is why it’s so important to keep your customers happy—the more they love your business, the more like they are to tell their friends and family about you. But, there’s a catch: you shouldn’t simply assume that your customers will tell people about your business, no matter how good you are. You need to give them a reason to refer you. And this is why you should consider a referral program. Referral programs aren’t complicated to put in place. Basically, all you need to do is decide on some kind of referral incentive and then promote it. So put yourself in your customers’ shoes. What kind of incentive do you think will encourage them to tell other people about your business? For example, say you run a shoe business. Customers might be enticed by some kind of discount, like a $25 store credit for referring a friend. With a referral program in place, all you need is for each of your customers to bring one of their friends to your business, and you’ve easily doubled your customer base! Consider teaming up with another a business related to your industry (but not a direct competition) for a joint project or promotion. This can be easily done offline through some kind of special event, or online with a live video or giveaway. Think of partnerships like “I scratch your back, you scratch mine.” For example, say you run a business selling rugs. It would make sense to partner with a business that sells furniture. You wouldn’t step on each other’s toes as far as gaining new business goes, but the two offerings go hand-in-hand as homeowners would be looking for both. Powerful way to reach new customers because you gain a credible introduction. Cross promotions widen your audience, i.e. email to partner’s customer database. Boost your SEO through website backlinks. Provides the opportunity to share resources, ideas and contacts. Partnering with another business also means doubling your audience—something that you just can’t buy! Web marketing is one of the most effective ways to win new customers, manage your online reputation, and create happy customers so they keep coming back to your store, both online and in real life. Want to learn more? Check out Ideas for Local Marketing of Trades and Services Businesses. If you’re ready to get your small business online or need help and advice with your web marketing, get in touch with the friendly folks at Keen to Design to chat more about getting more customers for your small business.